Wow – ultracompact smiley bicycle spoke POV! 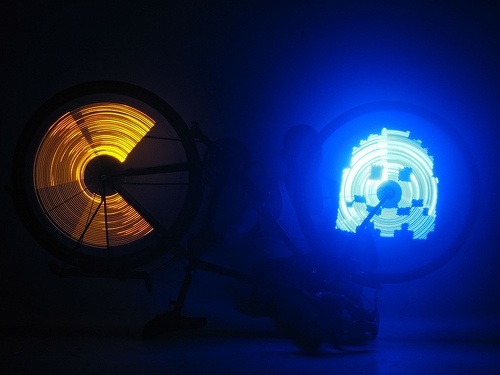 Designer Moritz Waldemeyer has created Joyrider, a product that creates illuminated smiley faces on rotating bicycle wheels. Joyrider consists of two electronic devices that clip onto wheel spokes. They measure the speed of rotation and emit LED light to create the illusion of a stationary smiley face as the wheel spins.